Part of the honor of being an NHS scholar is your stole. 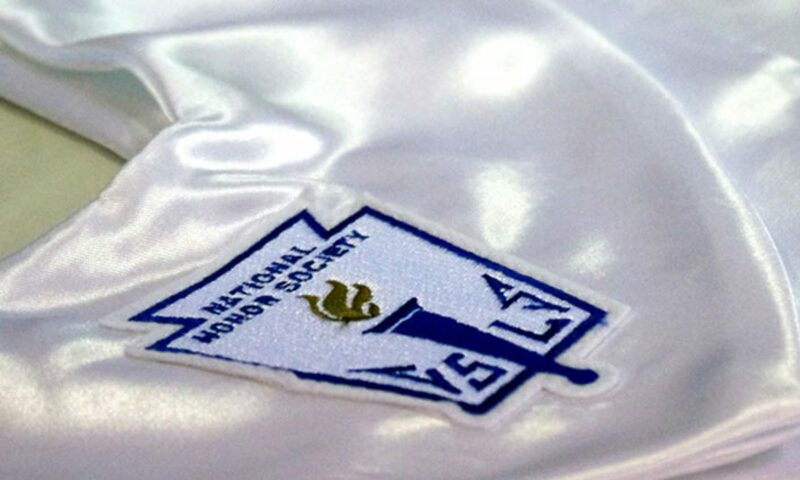 The NHS Stole, which is a pearl white color stole with the NHS logo in blue and gold is an honor that has been reserved for the select few who work hard enough to be members of the NHS. You can borrow a stole from LHS NHS, which you must return directly after graduation. You may also purchase a brand-new stole, which is yours to keep, from Mrs. Loth in room 200-R for $25.00 by cash, check, or credit card. You MUST have been selected for NHS membership prior to purchasing your stole. Purchase of stole does NOT guarantee eligibility to wear stole during commencement. The honor of wearing the NHS Stole is not automatic with membership in NHS. In order to be eligible to wear your stole during commencement, you must meet certain requirements, as set forth by the LHS NHS bylaws. *The stoles do not change from year to year, so if you have a stole that an older sibling has worn, you are welcome to wear it, as long as it’s the same as the stoles that we currently use.